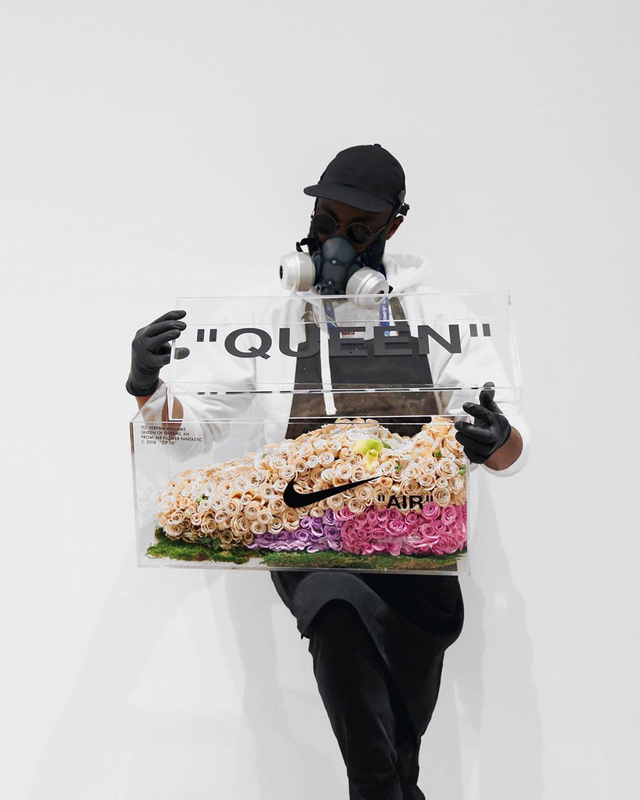 new york-based artist mr. flower fantastic first wowed the internet when he turned serena williams’ air max 97 into a floral masterpiece during the US open. 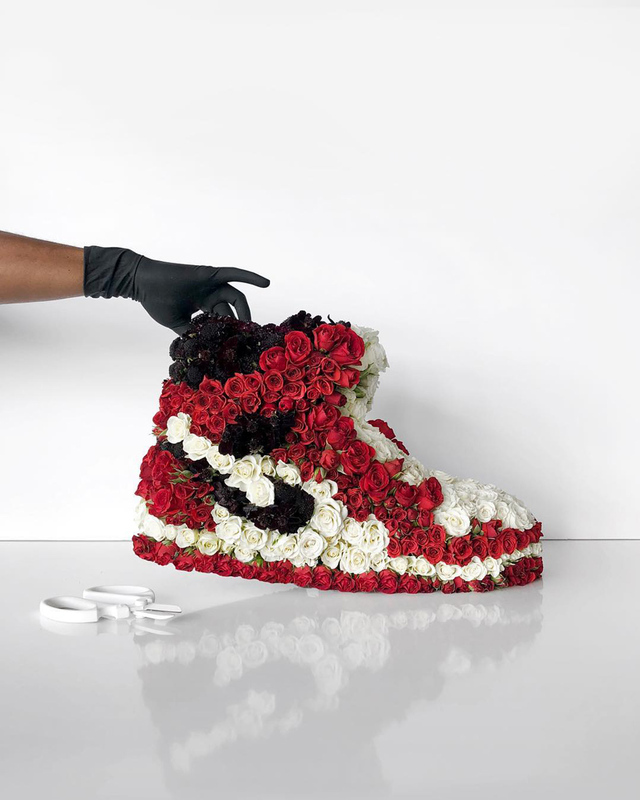 AKA ‘MFF’, the anonymous artist has made a name for combining floristry, sculpture, and today’s most sought-after sneakers. 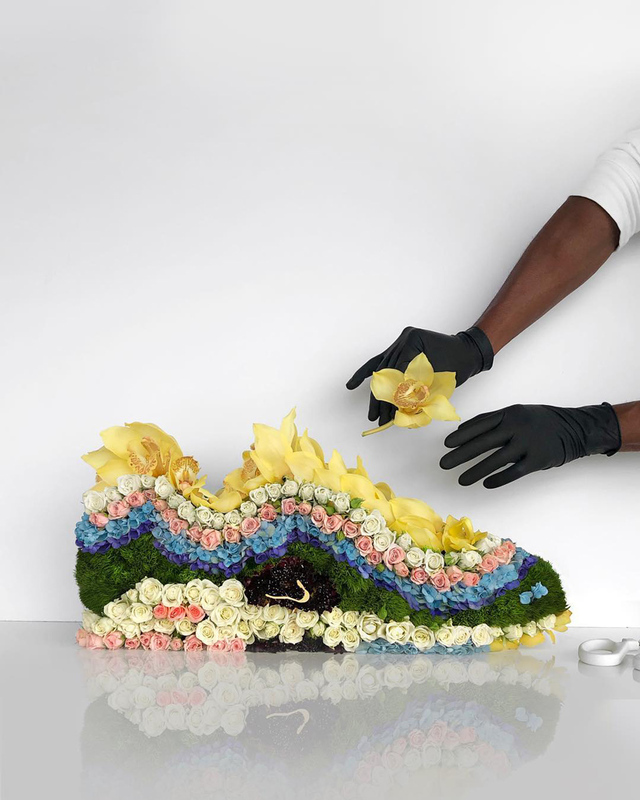 mr. flower fantastic arranges buds of varying colours to form familiar footwear features and recognizable brand markings. 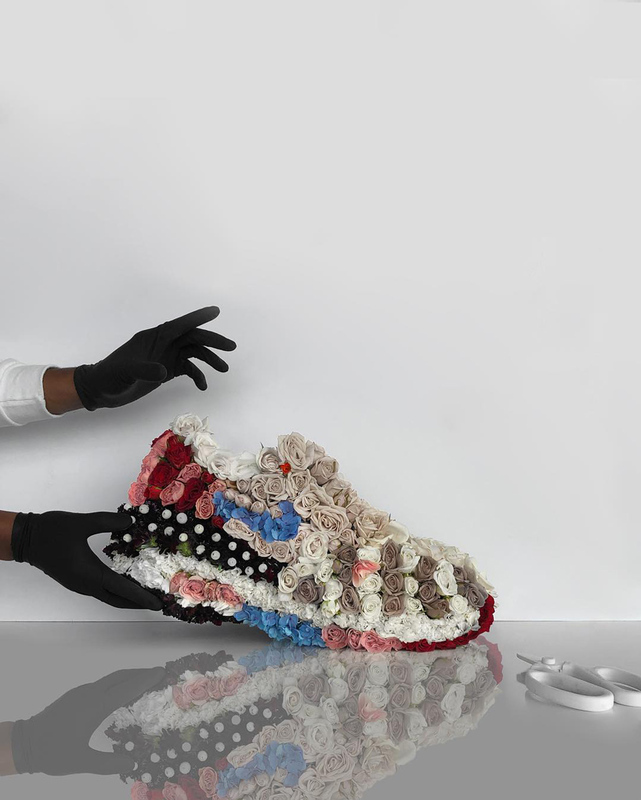 details — like nike ticks, or heel loops — are fashioned from individual petals. he uses tulips, roses, lilies, orchids carnations, and various variety of flowers from turkey, the middle east, caribbean, holland, north america and south america. as well as safeguarding his anonymity, MFF wears gloves and a mask to protect him from the flowers. 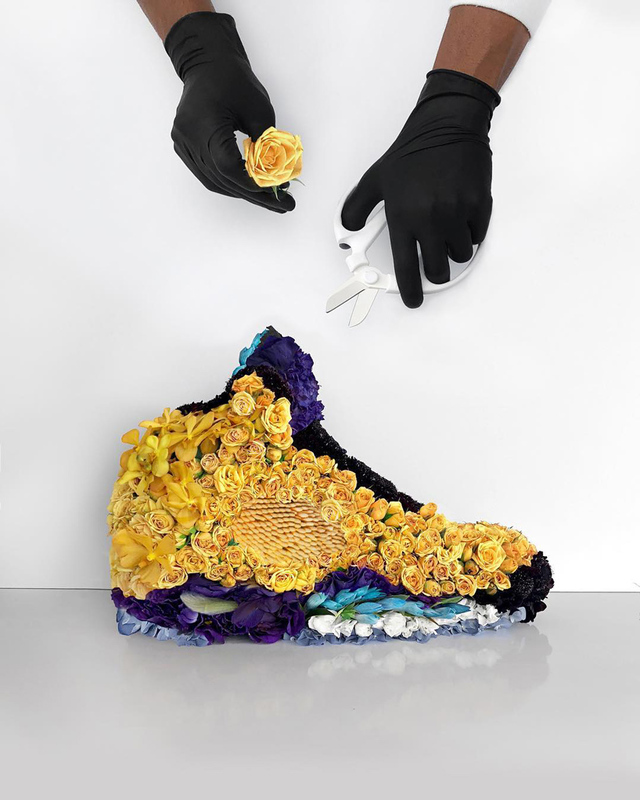 but being allergic to his chosen medium has not stopped the artist from expressing himself: ‘when I started to do this series, I was really excited to do it, because I knew the impact sneakers had on my life. 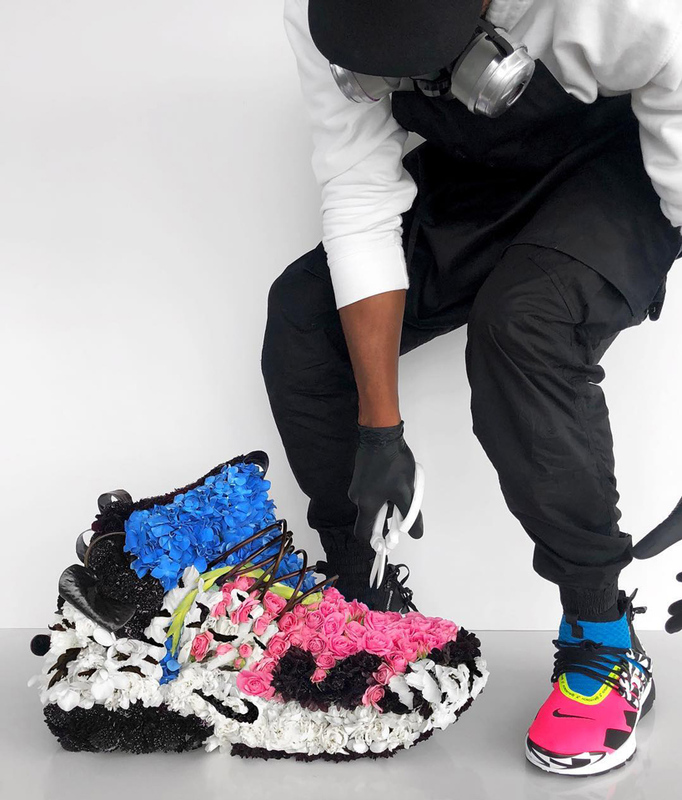 I was really excited to showcase and pay homage to the wonderful, incredible designers and athletes who have made those shoes, in particular the ones who have changed our culture, our way of shopping, our way of thinking, and our way of designing through those shoes‘, he told solecollector in an interview explaining his art. 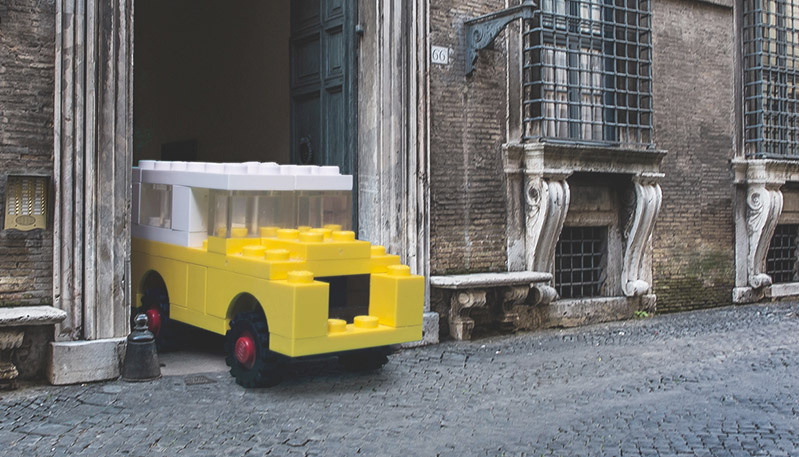 as well as sharing his work online, mr. flower fantastic sometimes leaves or drops off his flower arrangements in random locations in new york and other cities he visits. he does so by creating a sort of ‘bouquet treasure hunt’ offering his followers a location and visual clues through his instagram stories. 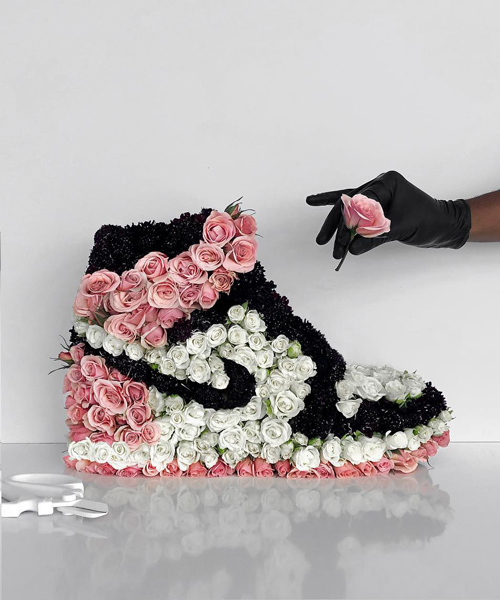 while MFF’s flower arrangements are satisfyingly rare (keep an eye out his instagram), prints of the shoes are also available to purchase online.